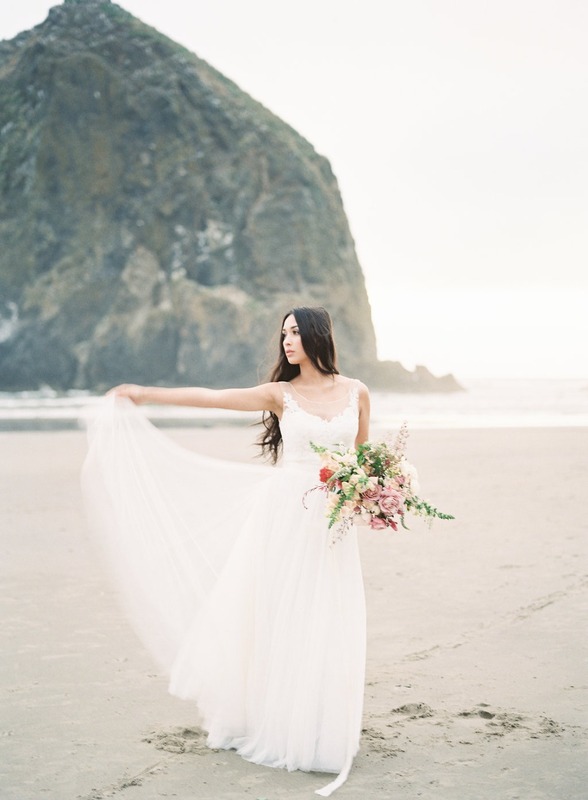 This free-flowing beach bridal look is giving back in a big way. 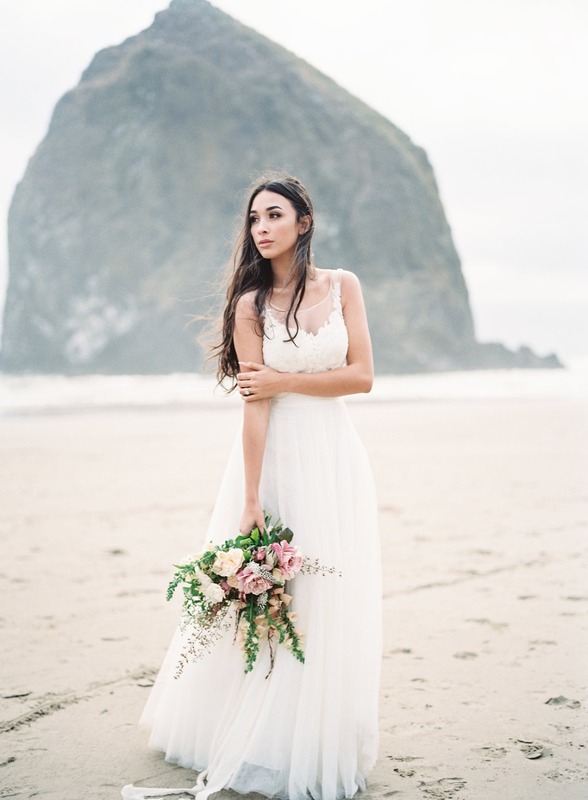 Brides for a Cause is a nonprofit bridal boutique that collects and resells wedding dresses to raise funds for local and national charities that support women! 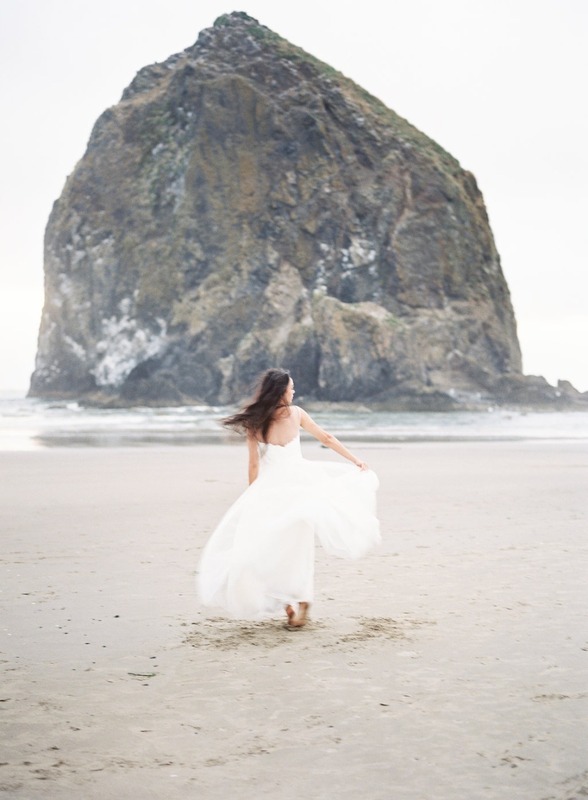 If you’re on the hunt for your dream dress, then you have to check out the gorgeous dresses they offer. Already married but still want to help? You can also donate your wedding dress. Le Vie Photography wanted to give back in a big way. 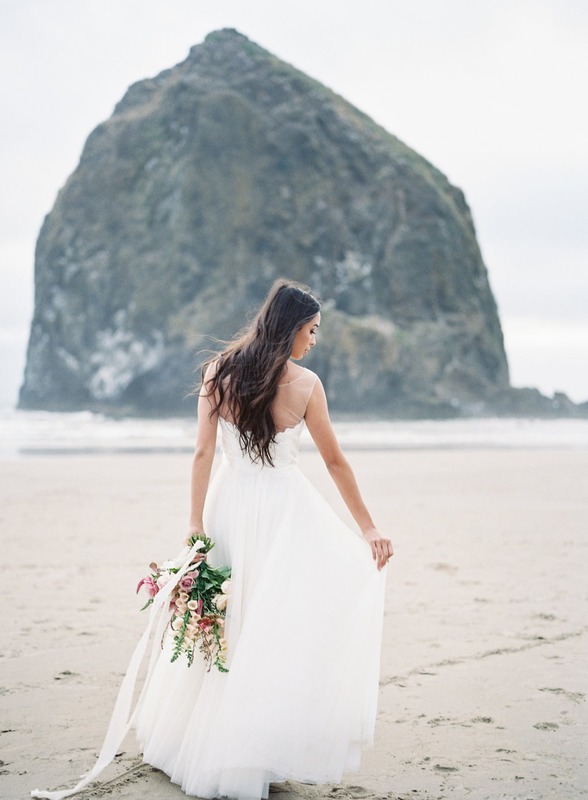 They combined forces with a team of talented vendors to bring this dreamy beach inspo together in hopes to raise awareness for Brides for a Cause, and to support local charities! When you book a session with Le Vie Photography, they will donate 5% of their profits to the charitable organization of the couples choosing. It's a win win you can feel good about. 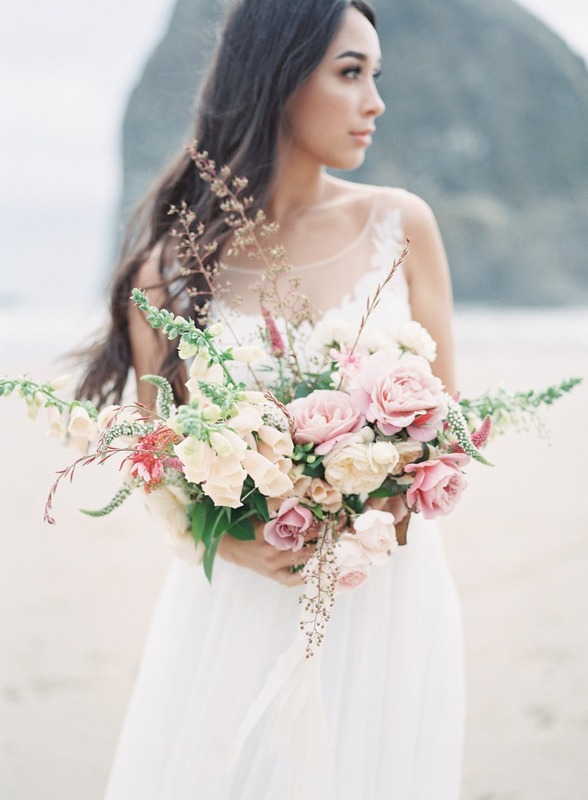 Read more below, and find a full gallery for more inspo from Canon Beach, Oregon. 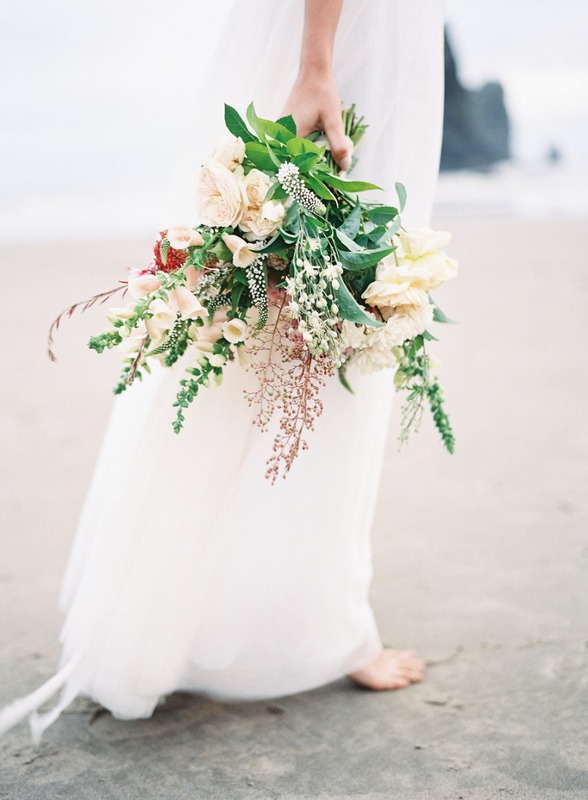 From Le Vie Photography: The flowers were designed by Sarah of Selva Florals to be organic and free flowing - a representation of nature: beautiful and free. This organic and flowing design coupled well with the soft hand-dyed silk ribbons from The Poetry of Silk. We chose a vintage ring from Trumpet and Horn to represents the timeless nature of a wedding. 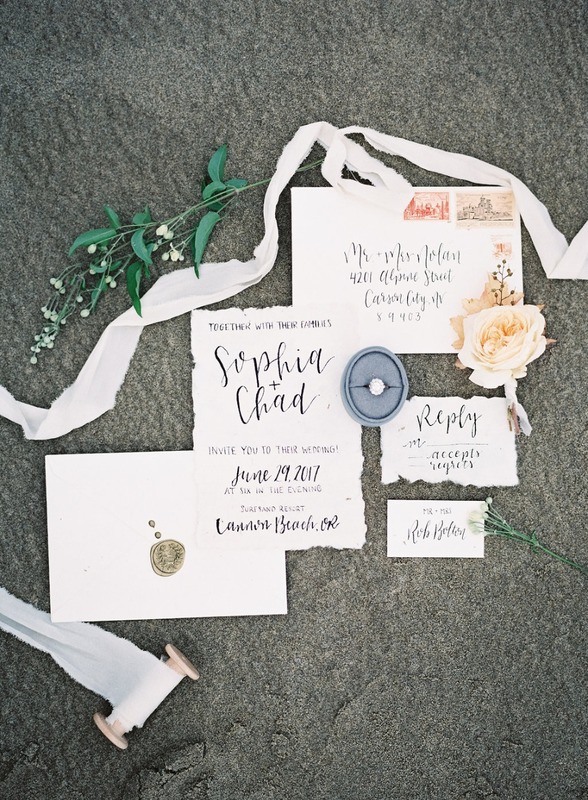 Our calligrapher, Katlyn of Pens and Paths, used distressed paper along with vintage stamps for the invitation suite to further emphasize on the timelessness. 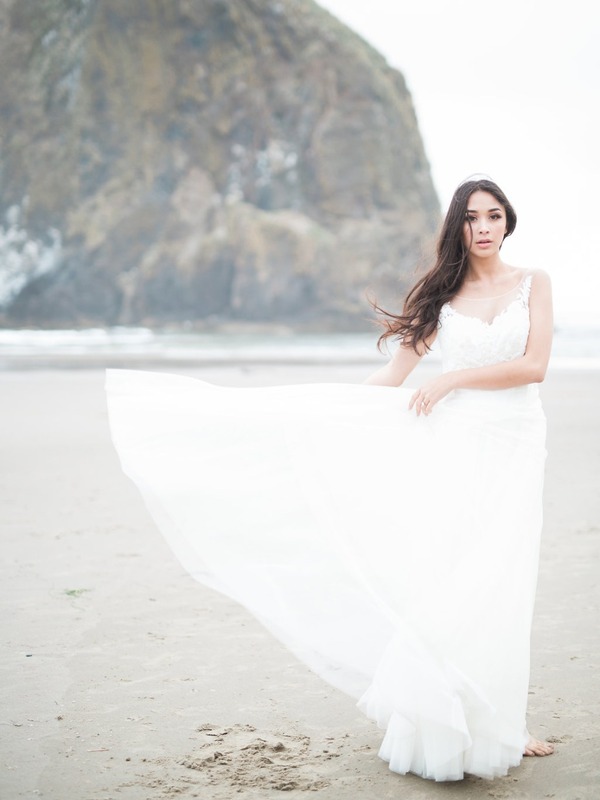 For our dress choice, we wanted to evoke an ethereal feeling so we selected a dress that was soft and flowy. 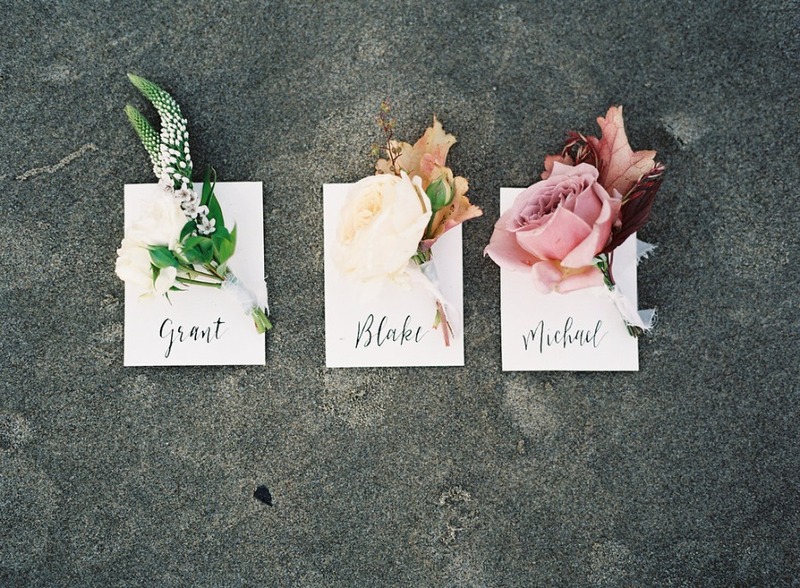 We reached out to Bride for a Cause, a non-profit organization, for a collaboration to set up this inspiration shoot in efforts to promote love and kindness. 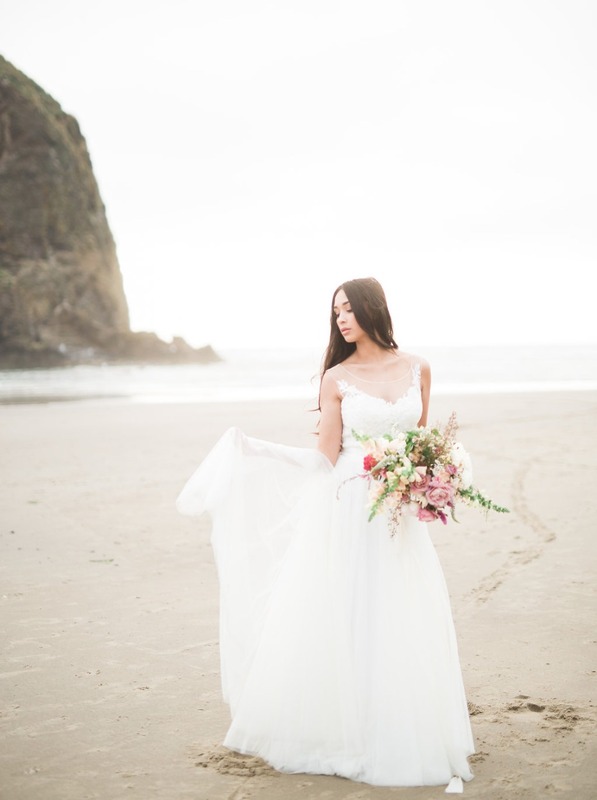 Brides who buy their dresses from the boutique can feel good about themselves as they will know that their money will be used to help and elevate women that are less fortunate. If you're already married but still want to help, you can donate your wedding dress here. I believe that we can do more good for each other if we could just take a moment and take care of one another a little bit more. My goal for Le Vie Photography is to not only grow but to grow in a way that promotes and help the world become a better place through simple acts of kindness. We do this by donating 5% of our profits to any charitable organizations that our newlywed couples choose. This allows us to share with our couples the rewarding feeling of 'giving back'. It's a win win you can feel good about.